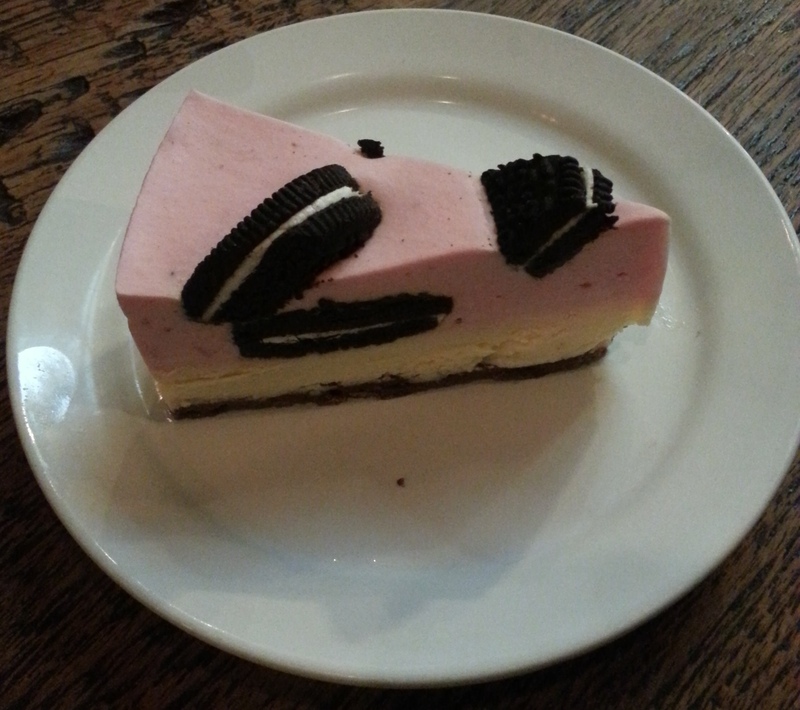 I always thought cheesecake are just cheesecake. You know what I mean the cake with cheese flavor. And if you want other flavor on it, you just add different flavor topping e.g. blue berry. Boy was I wrong. I was introduced to this Cheesecake Cafe by my friend. They have a quite a number of different flavored cheesecake. I ordered Run & Raisin Cheesecake and an Orange juice. I couldn’t remember the price but both cost total about $15. 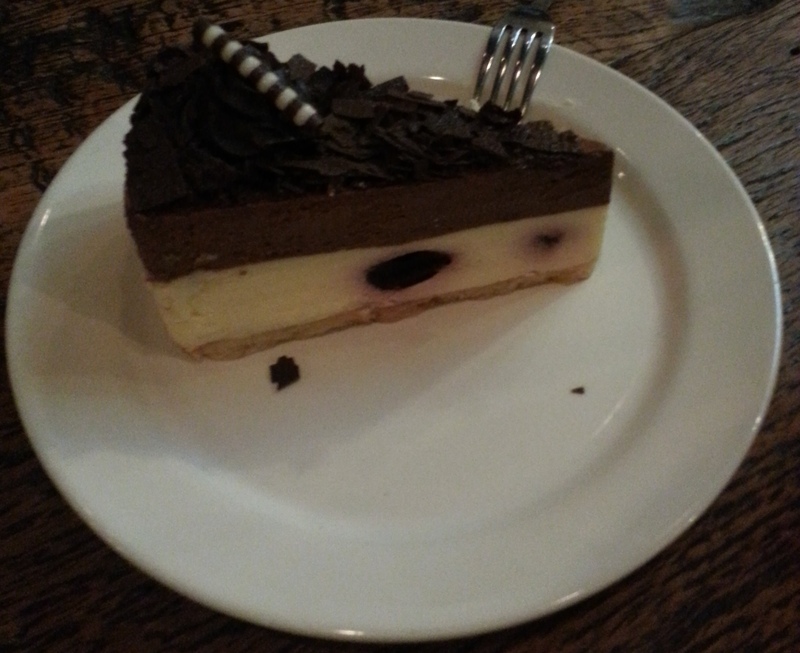 The cheesecake is nice and definitely something new for new. Never had Rum & Raisin flavored cheesecake before. I tried my friends’ orders of Black Forest Cheesecake, Vanilla Chocolate Chip Cheesecake, Strawberry Oreo Cheesecake, and The Chocolate truffle. 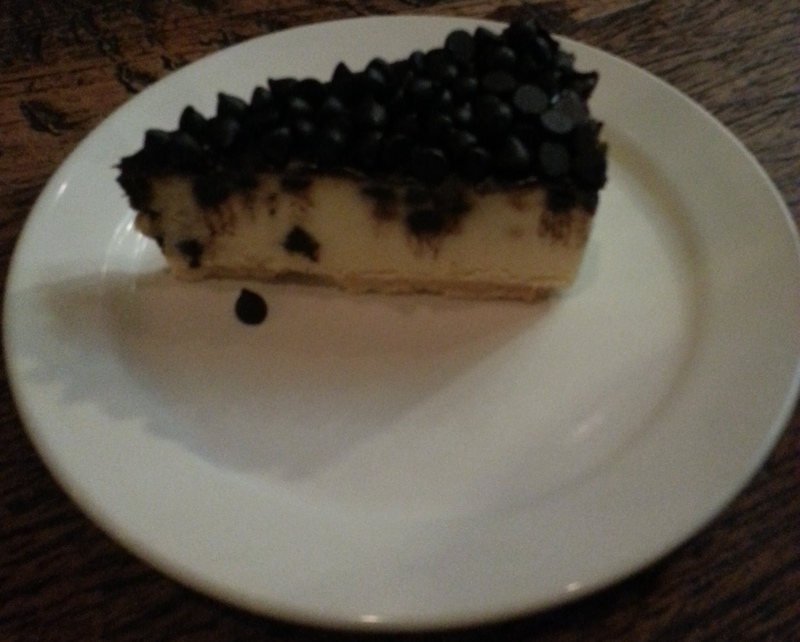 All the cheese cake are nice but the truffle not so much. 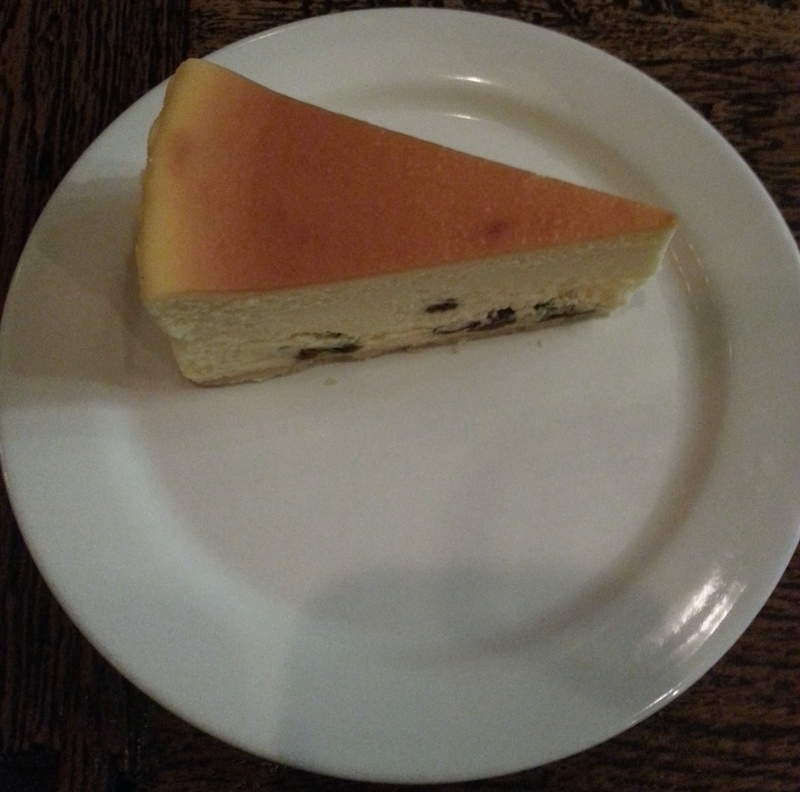 On top of their delicious cheesecake, the cafe has a very nice ambient and interior design. 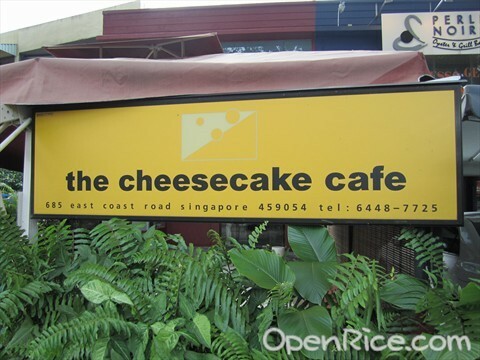 Definitely a good place to chill out with friends and have some cheesecake. 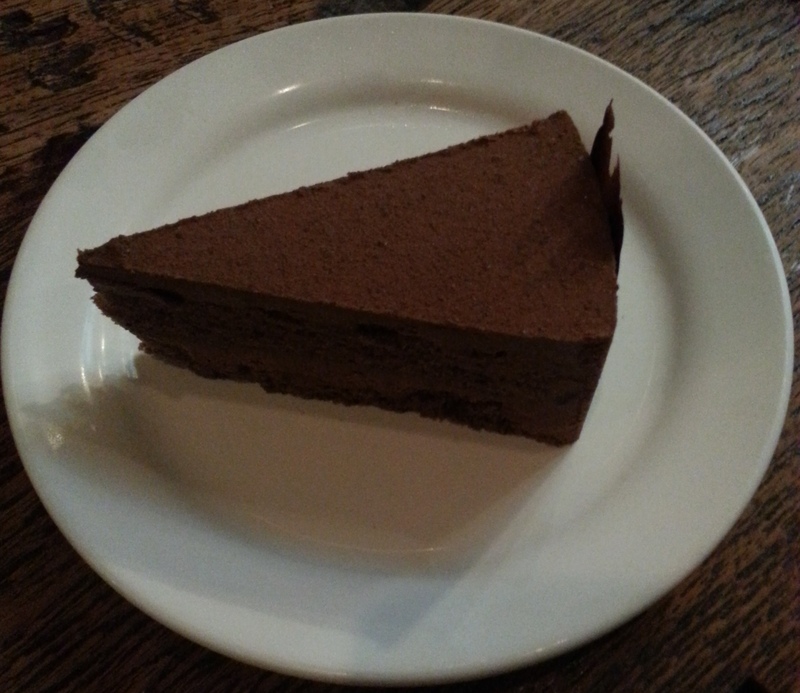 I came across this blog post review of the cafe which very detailed and full photos as well. Comment: Overall I love the ambient and environment of the place and also their cake. Will definitely recommend friends to go. Comment: Definitely to my liking. 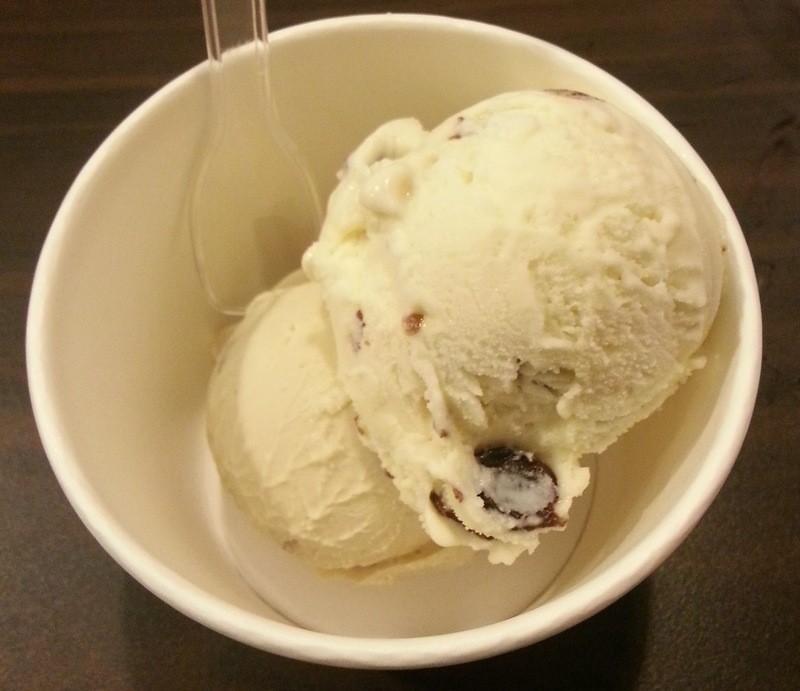 The ice cream is thick, not too sweet and best of all has a strong alcohol taste. Honestly, I never really go around Clementi much to explore food around there. Just the other I met my friend along the way back home after dinner he was carrying so many bowl of beancurd. Then I was like how come you buy so many bowls. 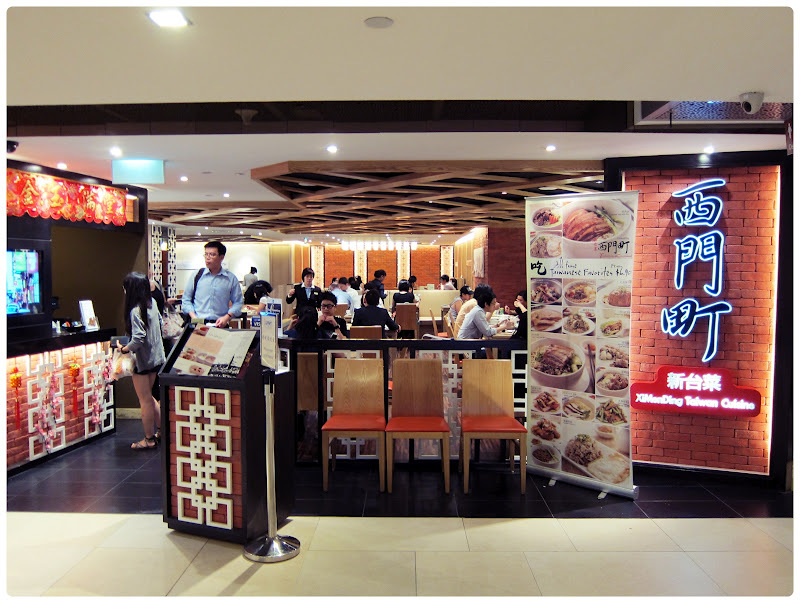 Then he was telling about this famous beancurd stall at Old Airport Road and they open a branch in City Vibe Clementi. Apparently, one of the most famous beancurd store in Singapore open a branch near my house and I’ve near really tried it. So yeah one day on the way back home, I drop by to get a bowl. They literally only sell beancurd in the stall. There are two flavors─original and almond. The original 1 bowl is $1.50. Quite cheap, so I just bought two bowls. I’m never really into burncurd that much. In fact, I never really eat any in Singapore. To my surprise, when I got home I finish the 2 bowls almost instantly. It was so good. Well at least for me. Since, it’s been 1 of my regular desserts. And every time, I’d have 2 bowls at least. Definitely a must-try even if you’re never really into beancurd. 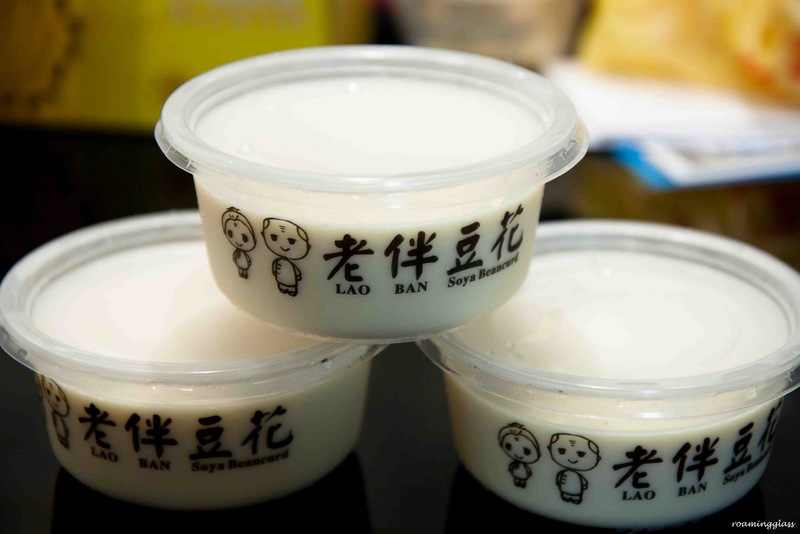 Now I feel like trying the other famous beancurd stalls around. Comment: Suits my liking. I love it. 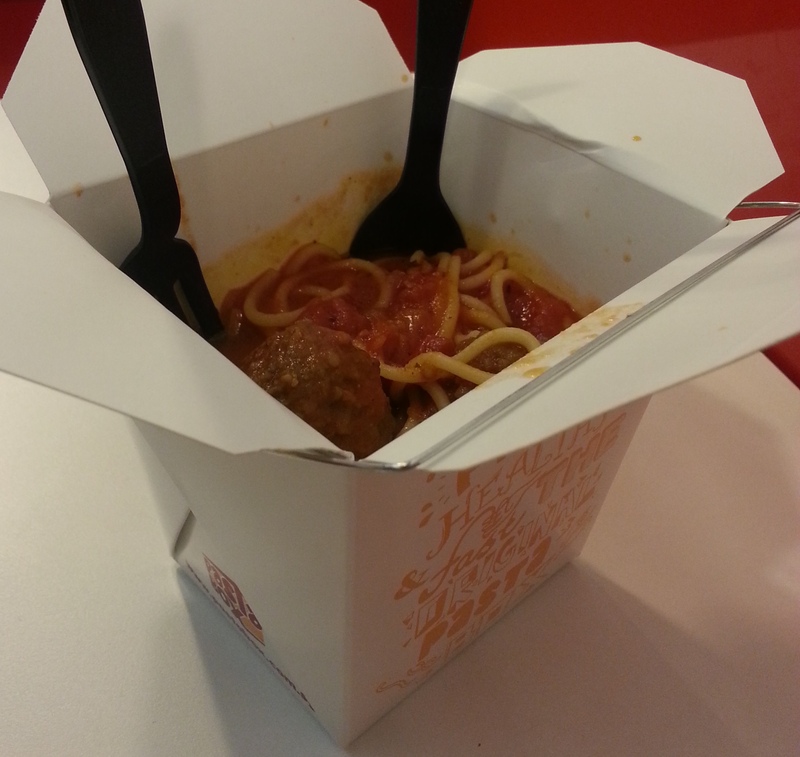 I tried their Meatball Box ($6.9) . I think it’s not bad but the portion is very small for $6.9. I like the fact that I can have it hot hot just cooked. A good instant take away pasta. And also their packaging is really neat and nice. Definitely, my takeaway pasta shop. 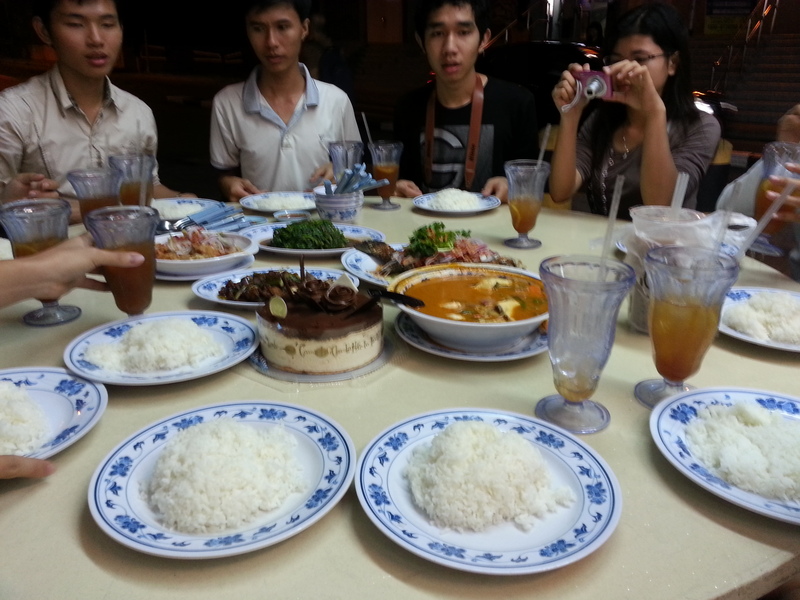 Another round table dinner after our 12 km from Redhill to Kallang. We rewarded ourselves with a bull frog porridge dinner at this restaurant. We ordered 8 frogs (S$60). 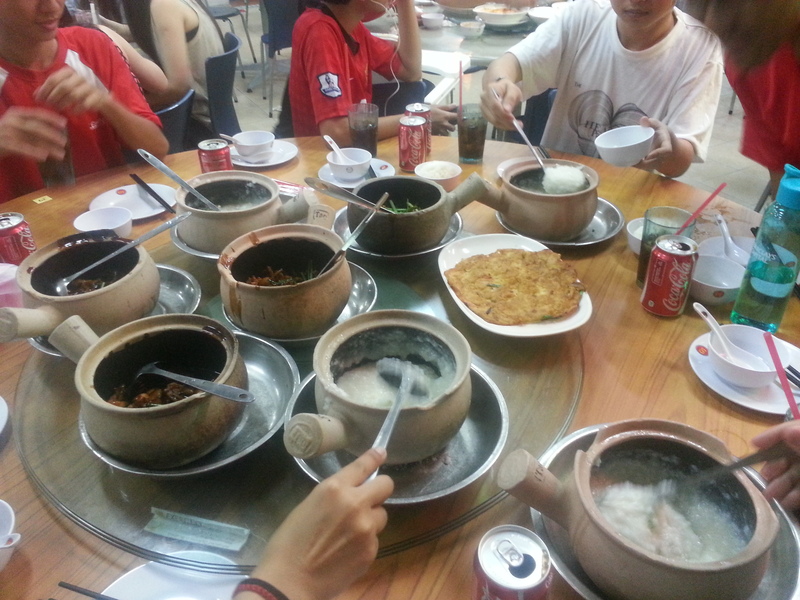 Since 4 frogs free 3, we got a total of 14 frogs cooked into 4 pots, 2 spicy and 2 non-spicy. Then we also order a very expensive fried egg (S$10), deep fried squid (can’t remember how much), and lastly fried sea fish (S$58+). I’m not sure if I was very hungry or it is really that nice but I find the frog porridge very good. The sauce tastes well with the porridge and their porridge is very thick and smooth. I prefer the non-spicy to the spicy one because I don’t like the chili smell it has in the sauce instead I prefer the ginger smell and taste of the non-spicy sauce. All in all it’s great. I had so many bowl of porridge. However their other dishes is not that nice and definitely very expensive. I can get a much nicer fish of the same size in Clementi for only around 20 bucks but it costs us like S$60 for fish there. Even that bit of fried egg cost 10 bucks. A total ripped off. So in conclusion, it’s a good place to go for frog porridge but maybe not other dishes. Comment: I only liked the frog porridge among all the things we ordered. After returning from my CNY holiday at home, I had some gathering with some old friends. We met up for dinner at Raffle City. Initially, we supposed to go for Sakae Sushi but the queue was so damn long so we decided to go somewhere. It was Friday night evening so every was packed. Then we came across this restaurant with no queue. And that how I got to try this restaurant. We ordered 1 Yu Sheng (S$38.80), Deep Fried Fish In Sweet & Sour Sauce (S$17), Braised Pork Trotters (S$ 27.90), Sweet & Sour Pork Ribs (S$ 17.50), and Radish and Egg Pancake (S$11). The food was not bad. In fact, I think it’s quite good. 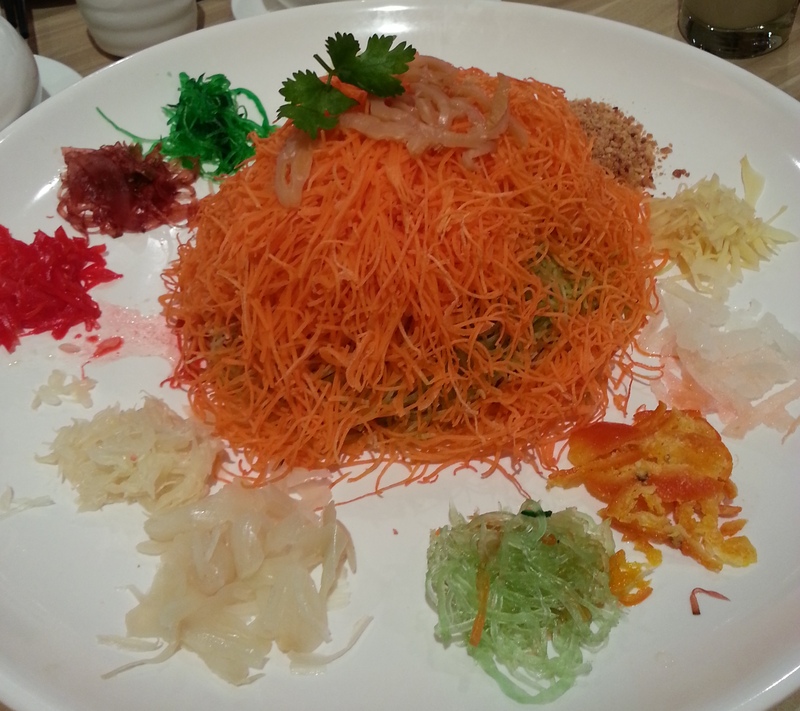 I don’t often eat Yu Sheng, so I’m not really sure what’s the standard but find this Yu Sheng is nice. The sauce taste good and sashimi was quite fresh too. 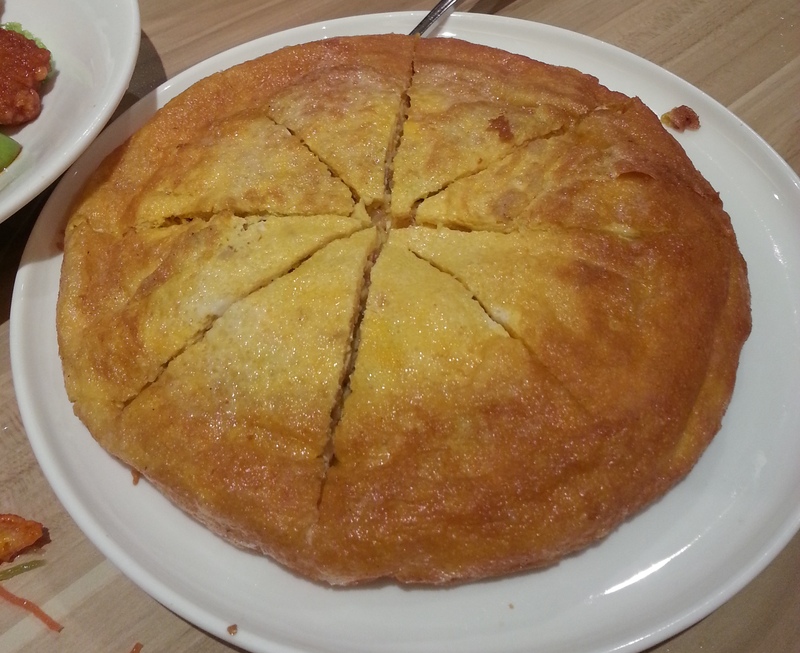 The Radish and Egg Pancake is something new. Taste is awesome. 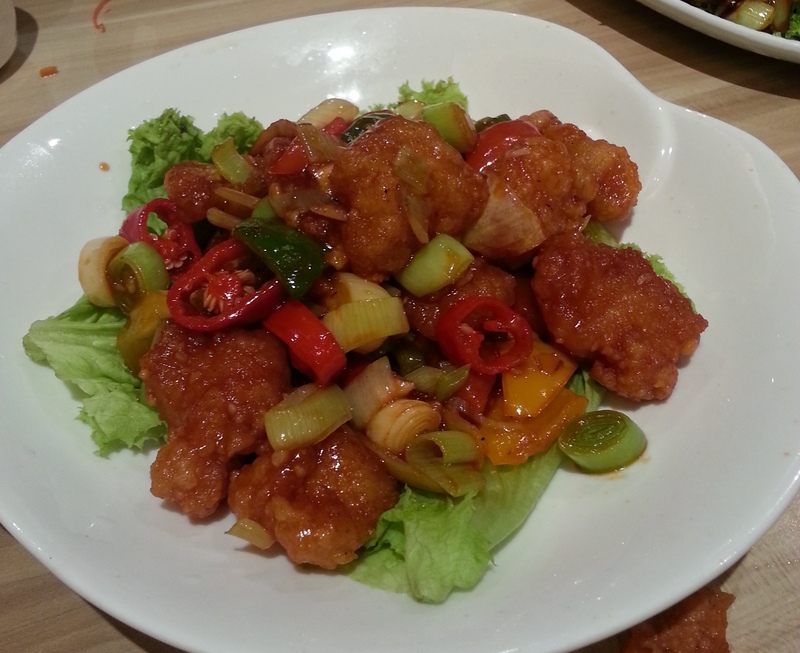 However, both the sweet and sour dishes were bad considering the price. Lastly, the Braise Pig Trotter was something we order by mistake. It looks kinda disgusting but taste good. 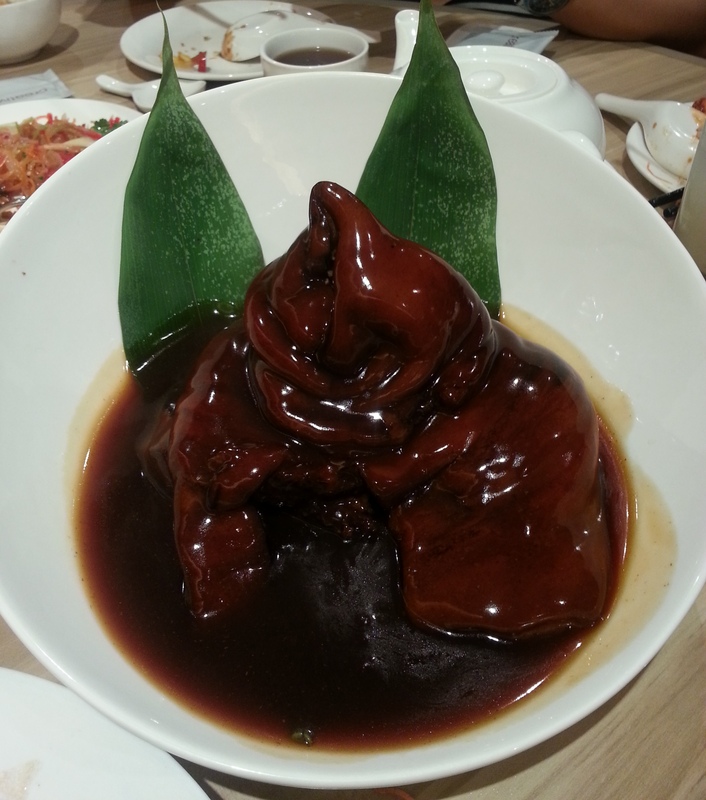 The pork is very tender and well cooked. The taste of sauce is not too strong. Overall, I think the foods here are not bad, the ambient, and interior is nice. Comment: A good place try once in awhile but definitely not a place I’d go regularly. I’ve always wanted to try having a round table dinner at this stall but can never find people to have with. Finally, I had the chance to. We had it here on my birthday when all my friends who came down to give me birthday surprise. It was a really great round table dinner especially after my very hectic day from work. We had Tom Yam Soup (Medium S$7), Fried Sambal Kang Kung (Large $10), Thai Style Finish (S$22), Thai Style Chicken, Black Pepper Beef (Small S$ 15), and Cereal Fried Prawn (Medium S$25). Though the Tom Yam look quite weird, it was quite nice. The Sambal Kang Kung is definitely much better than the one I had at Chomp Chomp but still just okay. The Black Pepper Beef is good but that little for $15 is definitely overpriced. 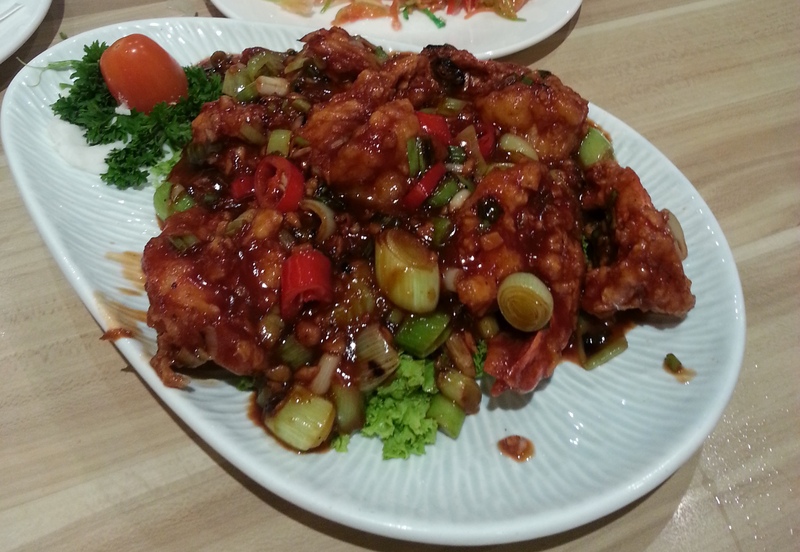 I didn’t get to try the Cereal Prawn and the Fish but my friends said they were great especially the fish! The Thai Style chicken is very good too. Overall a great meal and the price are very reasonable too except for beef. We spend $100 in total for 11 people.